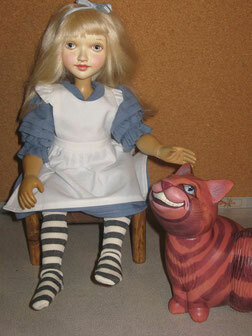 Our new Alice in Wonderland is a beautiful addition to our collection. She stands 12" Tall, carved from solid wood with 13 moveable ball and spring joints. 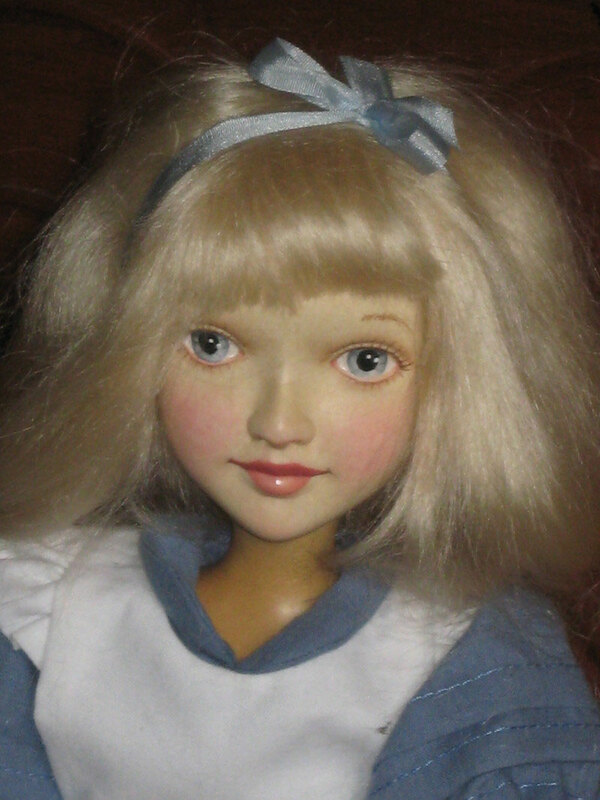 Her face is delicately painted by hand and she has a soft mohair wig. 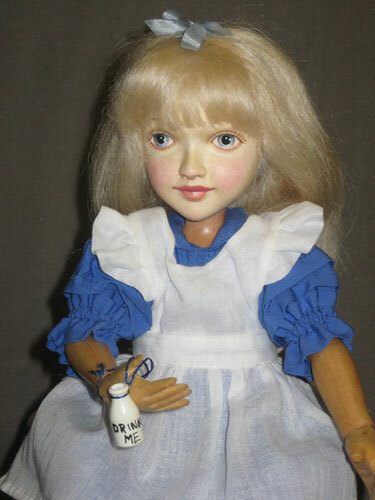 Her outfit is made in house from swiss cotton batiste, stripped stockings and black maryjane shoes. 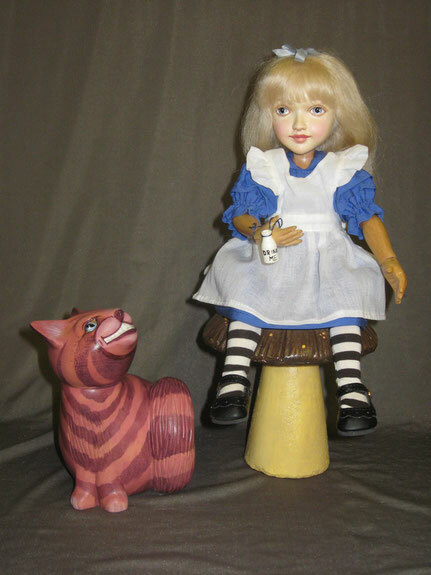 The Cheshire Cat is 6" and made from solid wood and his head can turn so he can look up at Alice from any direction. 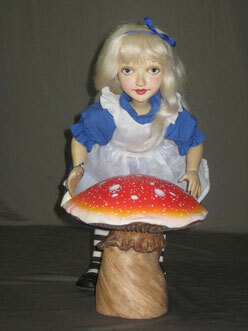 Alice in Wonderland, Mushroom & the Cheshire Cat.